Farmers plant crops in certain areas specifically for wildlife, including corn, soybeans, wheat and clover. Farmers use practices like no-till, crop rotation and cover crops to create the organic matter that produces healthy soil. This promotes a wide variety of plant life in set-aside areas and fields left fallow. Plant diversity promotes wildlife diversity. To help wildlife flourish, some farmers plant specific crops adjacent to CRP or CREP land. For instance, pheasants like nesting in winter wheat; locating habitat next to winter wheat increases the area available to the pheasants. Farmers manage land in ways that promotes wildlife. Protecting wetlands, encouraging native prairie grass growth and leaving dead trees or logs on the ground provides habitat for wildlife. 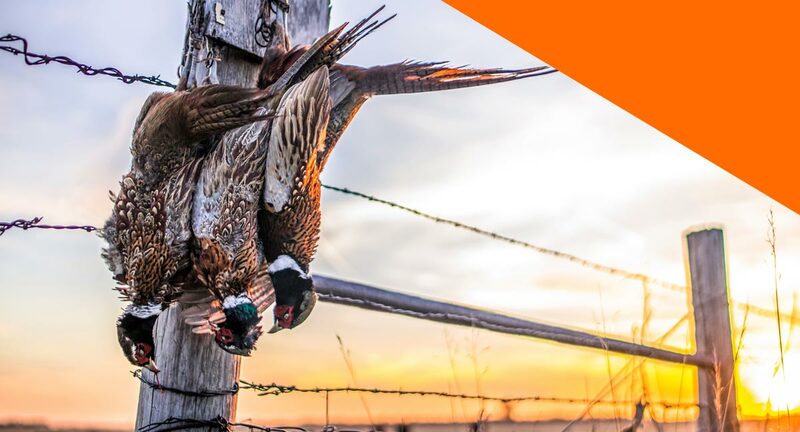 Thanks to South Dakota farmers for helping grow our wildlife population!